Dr. Sillins with A Woman’s Touch Plastic Surgery recently did a lunch ‘n’ learn for Cincy Chic – click here to listen to the podcast of the luncheon – and it was really interesting to learn how you can make a dramatic difference with your skin by preventative and protective lotions and potions! Check out the video below to learn a little more about the Aromasoul Body Collection and A Woman’s Touch Plastic Surgery! Cincy Chic and Locals on Living, an affiliate of the Cincinnati.Com network, have teamed up to collect your seasonably chic secrets and ladies around the city have answered the call. Click here to check out the top 10 seasonably chic secrets and vote for your favorite. The winner will be chosen November 4, 2009! Check out the video below to learn more about A Woman’s Touch Plastic Surgery, Aromasoul Body Collection and the Seasonably Chic Showcase! There are so many spas and salons in town and it’s tough to choose which one is right for you. I find myself a bit partial to one in town, Tuscany Spa-Salon in Harper’s Point. In the beginning of the year, the Cincy Chic staff did a makeover day there and it was then that Tuscany showed their true colors. Everyone there bent over backwards to make the day special, customized and enhancing for every single person that came. They took the time to learn about skin and hair types, lifestyle and likes/dislikes to find a look that matched each personality. So, I’ll always have a special place in my heart for Tuscany because of that experience. I was so excited to learn that they wanted to be a part of our Seasonably Chic Showcase holiday market on Nov. 7 at the Phoenix downtown! They are going to have my FAVORITE makeup there, Jane Iredale mineral makeup, which is awesome for sensitive skin! They will also highlight their threading services, which is a great alternative to waxing your eyebrows. We recently did a makeover story with a woman who got threading done and she loved it. Click here to read her story and see pictures! So, make sure you attend the Seasonably Chic Showcase to meet my friends at Tuscany Spa Salon and learn about their fab products and services! And one lucky winner will be receiving $300 in free services from Tuscany Spa Salon with our $2500 Seasonably Chic Showcase Giveaway we’re doing! Check out the video below to see what Tuscany Spa Salon will be featuring at the Seasonably Chic Showcase! Ever had one of those days where there just aren’t enough hours to possibly complete everything? Yeah, that was my day yesterday. So, I’m sorry for the delayed “Day 11” of the “12 Days of Seasonably Chic.” But I know this one is worth the wait! Today, I’m featuring Stop Traffick Fashion. STF was recently featured in the Enquirer and Cincy Chic and now you can see, touch – and buy! 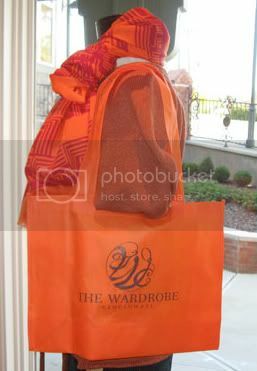 – all the great STF bags and jewelry at the Seasonably Chic Showcase on Nov. 7! Click here or on the play button below to get a sneak peek video of some of the items STF will have at the Seasonably Chic Showcase! We have a super awesome event coming up that I’m very excited about. It’s called the Seasonably Chic Showcase and it’s going to be the chicest holiday shopping event Cincinnati has ever seen! It’s hosted by Cincy Chic and Locals on Living, so you know it’ll be fun and informative. The event will be on Nov. 7 from 10a-3p at The Phoenix, so mark it on your calendar. And plan to stay the whole time because we have two fashion shows and two brunch ‘n’ learns planned (Poeme’s Unique Gift Giving and Wrapping Tips at noon, and Sacksteder’s Interiors Holiday Decor Tips and Trends at 1pm). But the big thing at the event will be all the shopping opportunities. We’re featuring 30 unique vendors so you can buy all your one-of-a-kind gift items for men, women and children on your list. Not only will everything be discounted, so you’ll save lots of money, but you’ll save time too not having to travel all over the city running around boutiques and malls trying to find the perfect gifts. To give you an idea of some of the items featured at the vendors, one of our interns suggested that we do “12 Days of Seasonably Chic” videos to post on blogs and social media to highlight items that will be at the show. So, this video is the first of 12 that will appear each day until the event and it’s showcasing two items from Lavish Giving (LavishGiving.com), one of the vendors who will be at the event. Studs, sequins and spangled styles are all in this season. But what’s a girl to do when she needs just a bit more flair than her fashion options can offer? Rock your body! Your body art, that is. But, with any fashion trend forecast, the first time I see a new look, I think, “No way will that ever be in fashion.” But then it grows on me. And then I magically find one of every color in my closet one day. That happened with leggings and skinny jeans, and I’m almost there with shoulder pads. I’m not one to draw attention to my legs, so you probably won’t ever find me with a temporary Chanel tattoo plastered all over my legs (unless I made myself believe that the “CC” stood for Cincy Chic! haha). But I can see this becoming an actual trend. Think about it. It’s like having a tattoo you get to change your mind about, or change with the new trends. It’s a fashion-forward commitment-phobe’s dream come true! I especially think the Chanel body art will fly because of similar, already existing tattoos on celebs like Nicole Richie. But we’ll see. I did find a Body Art option that may be more appealing, and let’s face it, more chic than fake tattoos. And it’s brand new to Cincinnati! It’s called Minx Cincinnati. And these will make you feel fabulous from your fingertips to your toes. Because, well, they go on your fingers and toes! At the Progressive Shopping event we hosted up at the remaining Homearama homes tonight, I met the woman who’s “minxing” (as she calls it) here in Cincinnati. Her name is Veniece Hughes and she said this new type of body-shop-meets-body-art-meets-manicure uses a flexible custom polymer that is heated and applied to your nail. I absolutely fell in love and I want to have a “Minx and Mingle” party with my girlfriends! How fun would that be?! They had a really cute black and white polka dot pattern that I will be getting. They had houndstooth, zebra, cheetah and checkered print, too! Enjoy the video below I took of Veniece explaining this new exciting “body bling” option we now have in Cincinnati. Check it out! As an entrepreneur, I love hearing how business owners got their start and how they ended up where they are today. It’s usually a fascinating story with many twists and turns. I remember hearing about David Yurman’s last year and his story did not disappoint. He grew up on Long Island with a humble upbringing. He first stepped out as a designer and business man selling little sculptures in his high school cafeteria. He pursued sculpting at NYU, but then got sidestracked (eh, it happens to the best of us in college) and he hitchhiked across the country to California where he found refuge in some beatnik artist colony. I guess that bohemian scene got old and tired for him, so he hopped on the new, hip bohemian bandwagon that was brewing in Greenwich Village back in New York. That’s where he met his wife, Sybil, who was also an artist. 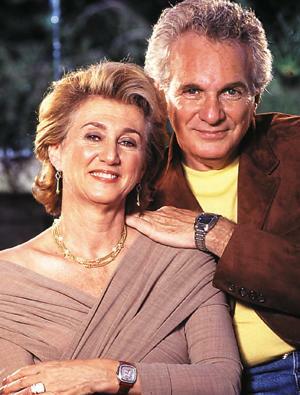 David and Sybil formed a dream team and focused on learning the marketplace for fine crafts and jewelry. In 1980, David Yurman, the brand and company, was established. By the mid-1980s, Yurman had made a name for himself with his cable bracelet. This style has become iconic and remains David Yurman’s signature. Why, you ask, am I randomly sharing David Yurman’s story with you? Well, today is officially David Yurman day in my book! The biggest selection of his jewelry that Cincinnati has ever seen – including the new 2010 collection that will be unveiled today – just arrived this morning to James Free up in Olde Montgomery. There’s a four hour David Yurman Trunk Show event (4-8pm) going on tonight that I strongly suggest you check out. There will be preferred pricing, which is awesome considering this stuff never goes on sale, and according to the James Free people I talked to, “Yurman starts at $200 and can go up into the tens of thousands.” So, no matter what your budget is, check it out. Could be a good time to start checking off your holiday list (there will be a ton of items for men and women). The Cable Gets Personal – The iconic “cable look” Yurman is famous for, now enables you to personalize with charms and pendants that can be interchanged depending on your mood and/or wardrobe. Statement Necklace – The Cordelia Cable (my favorite piece!) 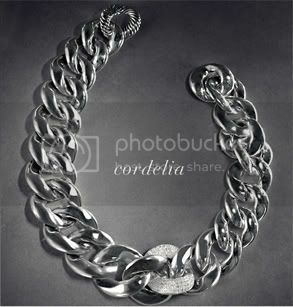 is a bold silver necklace with cable ring detail and one simple pave diamond link. It’s simple and refined but bold and beautiful. The perfect pop to any LBD! Ruby & Topez – These two colors are obviously the “it” colors for the 2010 collection. 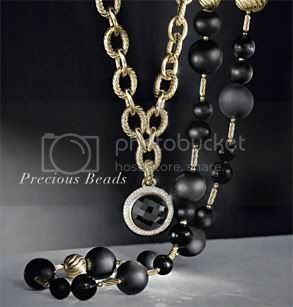 They appear in most of the new arrivals, from earrings and charms to pendants and chunky rings. And here are the details about the show… hope to see you there! Sweet Deals for Sweetest Day! Sweetest Day is this weekend! Celebrate by taking advantage of these sweet deals! 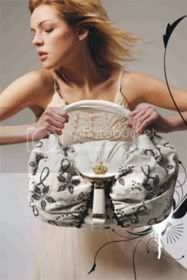 Love handbags? Love art? Get the best of both worlds with Buenos Aires Mercado, Ltd., which offers all leather handbags that are one-of-a-kind works of art. Their designs are crafted in Argentina by individual artists and exclusively sold to Buenos Aires Mercado, Ltd. Plus, you can choose shoes that are custom designed to match! Check out their Chic Shop page on Cincy Chic to get a free gift with your first purchase! And to see the bags and shoes in action, check out this photo album of the “Wearable Art” Fashion Show we just did, featuring Buenos Aires Mercado! Chocolates are sweet. Flowers are pretty. But why not give the love of your life something lasting for Sweetest Day? Stop by La Silhouette Lingerie, an adorable, European-style lingerie boutique in Madeira, for a gift he’ll definitely remember (let’s face it, men are visual). Speaking of memory – don’t forget to ask for a special 20% discount for the Sweetest Day weekend! From humid summers to brittle cold winters, Cincinnati’s weather can wreak havoc on hair. Especially if you have hair like mine with a little curl that you have to straight-iron out every day. For it, I recommend Keratin Complex by Coppola. It cuts down up to 95% of frizz and curl leaving the hair smooth and shiny. 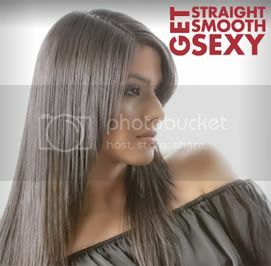 Visit www.BellaReySalon.com for more great offers and promos. The air is crisp and the trees are turning colors, which means it’s officially time to break out that Fall wardrobe! Visit Eddie Lane’s Diamond Showroom for their glorious gemstone jewelry in countless colors to accessorize all of your fabulous Fall fashions. But diamonds are always in fashion. Eddie Lane’s Diamond Showroom has been a top supplier to the Cincinnati area for over 30 years at unbeatable prices! Peruse their close out case for even better deals! Remember when blogs were seen more as a public diary than a credible media outlet? After coming such a long way, blogs are gaining steady recognition in the Tri-State. A few locals share how little blog sites are making a big difference in their businesses, industries and lives. Blogging has taken the fashion industry by storm and has inspired this local woman to expand her blog to the next level. Learn more about the fashion blogsphere in her niche magazine. Whether you’re dating, married or your relationship status is “complicated,” every gal has had a rough date or two. Read on to learn more about the dating mishaps of this local blogger. What started as a personal money-saving endeavor has transformed into a blog that saves money for thousands of readers. Learn how you can stay healthy without breaking the bank. Just as you only see the world as you perceive it, customers only see a company as they perceive it. One local blogger helps companies create positive perceptions to win over clients and their business. Beyonce called all the single ladies, but not every woman wants to answer that call. Our relationship expert fills you in on how to find and keep that special someone. Forget those Spanx! You can take advantage of your body’s natural slimming abilities by following the advice of our fitness guru and building up one particular muscle. Online banking and ATMs have added convenience to our banking lives, but checking your account balance anywhere at any time comes with new pitfalls. Our financialista helps you avoid costly overdraft fees while banking with ease. I’ve got a fever and the only perscription is retail therapy. That’s what I posted to my Facebook page this morning because the past two weeks have been busy, stressful and sleep-deprived, so I thought I’d treat myself to a short little visit to the mall. And some friends – who obviously know me and my savvy sale shopper ways – responded to my message on Facebook with various sales all over the city I need to check out. I thought I’d post a new blog to share the good news in case you’re out getting in a little retail therapy this weekend, too! So, all my sole sistas out there better hurry while the gettin’s good. 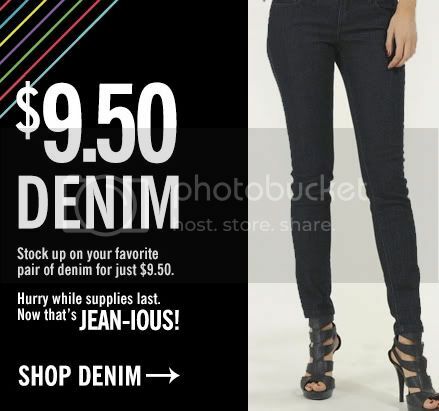 It’s jean season again, ladies, so stock up with Forever 21’s newly released $9.50 denim. I used to loathe this store, so I understand if you’re questioning my sanity for shopping at Forever 21. It’s crowded, unorganized, the clothes are cheaply made, don’t last long, aren’t made for girls with curves and and their return policy stinks. That being said, I consistently get compliments whenever I wear something from Forever 21. I used to think it was just for teeny-boppers, but I’ve actually found some of my favorite clothes – for work and play – at Forever 21. Plus I’ve found some things absolutely identical to items I’ve seen at Saks, Nordstrom and even Cabi parties. Sure, they won’t last as long as the expensive designer versions, but do fashion fads ever last that long anyway? All Day I Dream About Sales… That’s probably not what Adidas really means, but this weekend it does! The annual Adidas Tent Sale is taking place at the Turfway parking lot now through October 12 with blowout prices up to 75% off! Hours: Friday-Sunday: 9am to 7pm. Monday: 9am to 5pm. While I’ve never personally shopped at The Little Luxury Shop, it is based here locally, I do see it advertised everywhere and I’m on their mailing list. I just got an e-mail saying they’re doing 35% off right now if you use the code “luxury35” and that’s good until Oct. 31. The Web site says it’s a bikini and dress boutique. Their Little Black Dress section has some super cute stuff in it and some of their handbags are pretty yummy too. The Wardrobe in Madeira started “Tote Bag Tuesday” this month. Here’s the deal: Buy a $3 reusable tote bag and get 10% off your entire purchase. It’s only on the first Tuesday of every month, so mark your calendar for Nov. 3. And on that bag-related note, also mark your calendar for November 27. It’s the annual “Holidays in the Bag” at the Gateway Quarter (aka Over-the-Rhine) retailers. Participating stores will offer 20% off everything customers can fit into a special Gateway Quarter shopping bag from 9am-9pm! Proceeds benefit the Emanuel Community Center. Pick up your bag at the corner of 12th and Vine Streets and spend the day shopping for gifts in the one-of-a-kind, locally owned stores that line the Gateway Quarter. Our third annual Bras with Flair on the Square campaign took place last Wednesday and it was a huge success! We had so much fun and it was for a wonderful cause. It looks like Cincy Chic is going to be able to donate $1,000 to Susan G. Komen for the Cure this year from our event! Yay! An absolute highlight of the event was being able to award a pamper package to a special breast cancer survivor. We haven’t done this in year’s past, but with the help of Locals on Living, an affiliate of the Cincinnati.Com network, we held an open nomination contest for breast cancer survivors to share their stories. The finalists were voted on by the public and Heather Ray, a 40-year-old Symmes Township resident, won a pamper package valued at $3,000 with donated products and services from Tuscany Spa.Salon, Lexus RiverCenter, La Silhouette Lingerie, Playhouse in the Park, Fusion Studio, Soho Boutique, Pure Romance and Jeff Ruby’s Steakhouse. After losing her leg to a rare cancer at the age of 13, Heather has battled three breast cancer recurrences. Just last week, she was given a bill of health! Heather has – as an individual – raised $32,000 for Race for the Cure this year, and hopes to get a prosthetic leg to compete in triathlons in the future. Hearing her story – and all the other breast cancer survivor stories I learned about through the process of hosting Bras with Flair – I am truly inspired and humbled. Any problem, any worry, any obstacle I thought I had has been completely put into perspective. These survivors went toe to toe with a deadly disease and won, and battle every day to continue to win. All because they love life so much and they don’t want anything to take them away from the things they love doing and family they love being around. Click here to learn more about Heather, and enjoy the video below for a sneak peak into the life of a woman who seems to have battled it all but still considers herself lucky.